The Sponsorship by CSS completed in January 2016!! We are Turtle Women Rising, Rising for Peace. We are an Indigenous women’s collective committed to praying and playing well together for the return of peace and harmony to our Earth Mother. Individually and collectively, we vision women stepping up as guardians of the elements. We vision women returning to the drum to connect the heart beats of all live. We sit in circles to listen, share and be strengthened by this connection. Our Earth Mother and the elements hear us and feel the vibrations of the drum and our hearts of all life. We trust the heartbeat of our Earth Mother will be strengthen her and to listen to and strengthen the heartbeat of our Earth Mother with the vibrations of peace. We invite everyone to actively engage in this peacemaking through the heartbeat of the ceremonial drum, for the drum is a way for Spirit to speak to our hearts. Every living thing has a vibration. This vibration has the power to heal our hearts and transform the planet. It is our vision to raise consciousness, heal our hearts, activate our bodies, and feed our spirit. Feeling the vibrations of our drums, our voices and our gentle footsteps, we acknowledge our ancestors and the spirits residing to support us. We invite you to you to visit, participate, and or donate towards this Stand For Peace. Turtle Women Rising shares an alliance with the work of the International Council of Thirteen Indigenous Grandmothers. We are honored to welcome the Grandmothers to our gatherings around the nation joining us in this prayer. Together, we call on people of all nations to join in mending the web. Part of the work Turtle Women Rising brings forward is the remembrance of all our warriors. With the blessings of the Grandmothers, we undertake this much needed piece of the vision as one of our founders, Eli PaintedCrow (Retired, US Army SFC): the honoring of our warriors and inviting them back into community. We embrace them and their families with open arms providing a place to begin the healing process of calling their spirits back from the journey they have undertaken. We invite your participation to take action with us during our gatherings and always, from your homes, amongst your families and your communities, to consciously connect the web of all life. 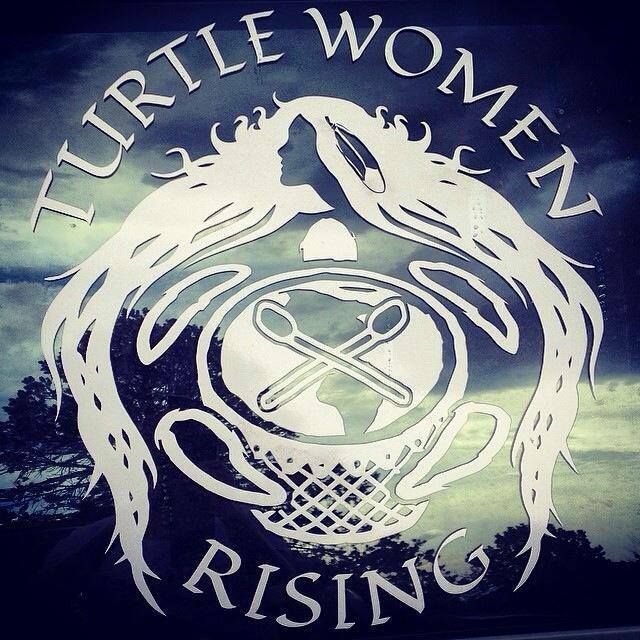 Share the post "Turtle Women Rising"